Mollycoddle Parties prides itself on keeping information on this website up to date, but does not guarantee that the information is complete, true, accurate or non-misleading. We do not guarantee that the website or its content is available 100% of the time. Mollycoddle Parties reserves the right to change the content, packages or pricing at any time. 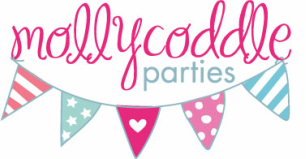 Clothes, dressing gowns, party bag contents, cakes and other props shown or listed on this website may vary and Mollycoddle Parties reserves the right to amend or change them at any time. The content of third party external websites available through this website are not the responsibility of Mollycoddle Parties. Mollycoddle Parties does not monitor and review this content. Although Mollycoddle Parties makes every effort to ensure the availability and integrity of their resources, we can‘t guarantee that these will be free of any defects or virus’s. Customers and potential clients should be aware of this when accessing and using our resources. Mollycoddle Parties takes your privacy very serious, all information collected is not released to third party vendors or websites and stored in a secure location. We request approval from adults or guardians of children under 18 before publishing photographs, videos or comments on our website. However once approval has been received Mollycoddle Parties reserves the right to use any of the material for their website or for promotional material unless otherwise stated.